Pokemon comic of author Hidenori Kusaka is one of the most popular comics in the world. This is a special manga adapted from the video game of the same name, about the adventures of Red and Pikachu on the journey to find and train the animals with special strength. 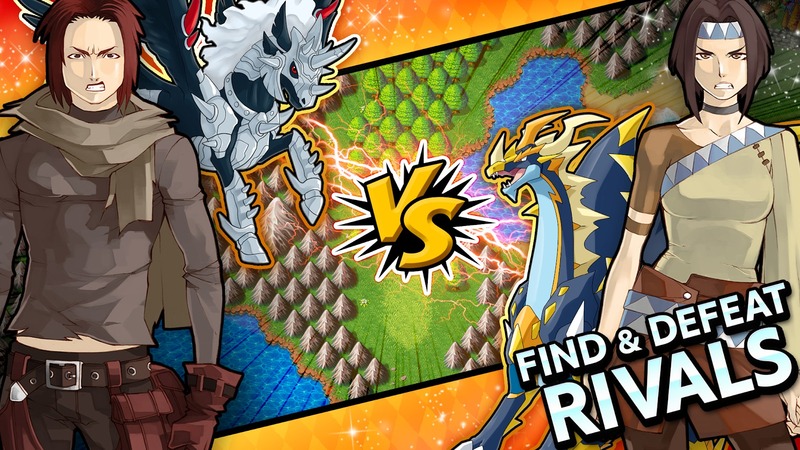 Later, based on the inspirations of the manga, publishers have produced a number of Pokémon-related games (including original and clones), including Pokémon Go, Nexomon, Pokémon Quest and more for mobile devices and tablets. Neo Monsters is an interesting game called clones of Pokemon game, released by Resonant and ZigZaGame. The game costs $ 0.99 but is currently free to download and install on Google Play, so install it today. Alternatively, you can install the free game by downloading the APK file or the MOD version of this game below this article. If you love Pokemon and related games, let explore the exciting features of the game with me before downloading to your phone. The story of Neo Monsters takes us to a big world thousands of years ago. The Verosia Empire – a mighty kingdom unified from various archipelagos after being destroyed by the First One. Descendants of the Hero prevented the Giants by gathering the best fighters, and then trained and used the special monsters of each island. After this event, the kingdom of Verosia was ruled by the young Prince and his widowed mother after the death of the king. You will be playing Hector Finnegan – a great animal trainer of Verosia that people have known. Every day thousands of people flock to Othlon to witness him play in the Monster League. Of course, Hector’s reputation reached the royal ear, he was invited to the palace to meet the Prince. But a horrible crime happened in the day Hector arrived at the palace, Prince and his mother were brutally murdered. And the most suspected person was the poor Finnegan. Use your animal training talents, adventure across the kingdom to escape while finding the answer to the mystery of the case. Similar to Nexomon or some Pokemon game, the player’s task is to find the strongest animals to complete your collection, taking care of them like a pet. Not only nurturing, but you also have to train them to be ready to confront dangerous opponents in the Monster League. Basically, how to collect animals and train them like other animal games. You grow the right food for each species, feed them, then they will grow, level up and evolve at certain levels. Once they have grown up, you can cross between two different species to create a new species, possessing their parental power, such as having Fire Skills and Lightning Skills. Hatching eggs also take a long time. Neo Monsters has thousands of different animals divided into different categories with different stats and powers. Each time your monsters level up, they will gain one training point. You can choose one of four stats to increase the level, including Attack, Defense, Health or Agility. The PvE and PvP mode consists of 4v4 matches between you and the other players or AI of the game. Your lineup can be up to 16 different monsters in an epic battle. With turn-based gameplay, you need to calculate and deliver a strategy that suits you and your opponent’s strengths. This game is fun in that I can play both Online and Offline modes. 200 tasks of the game is a very good way for you to receive money and experience. Neo Monsters has classic 2D graphics but is very intuitive. In a match, the game’s main screen is divided into two, corresponding to each team. This gives you a clear view of what’s going on in the game. 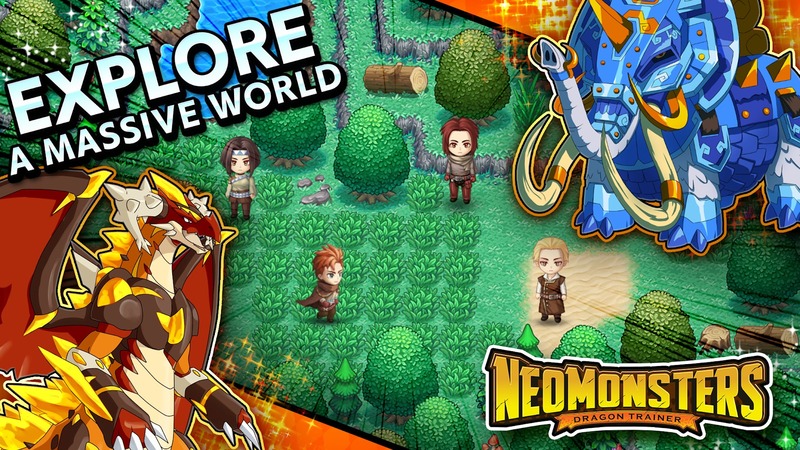 Overall, Neo Monsters is an exciting adventure game that you should try if you love the Pokemon game. Please select a version of the links below to download the game to your phone. 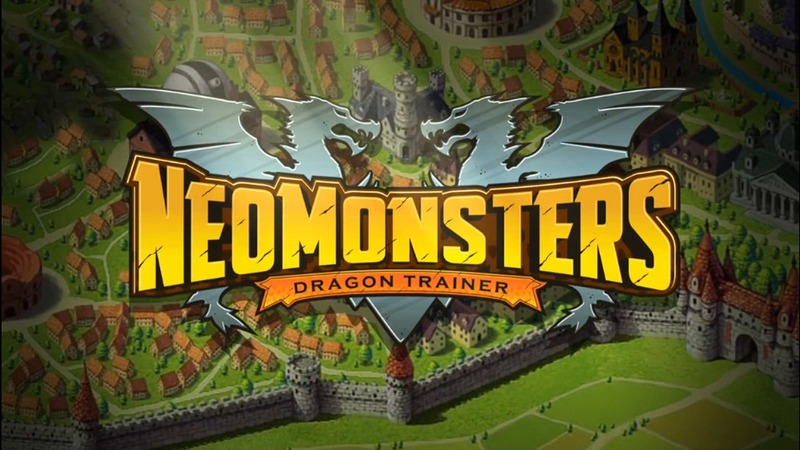 Neo Monsters MOD APK is ready to download! 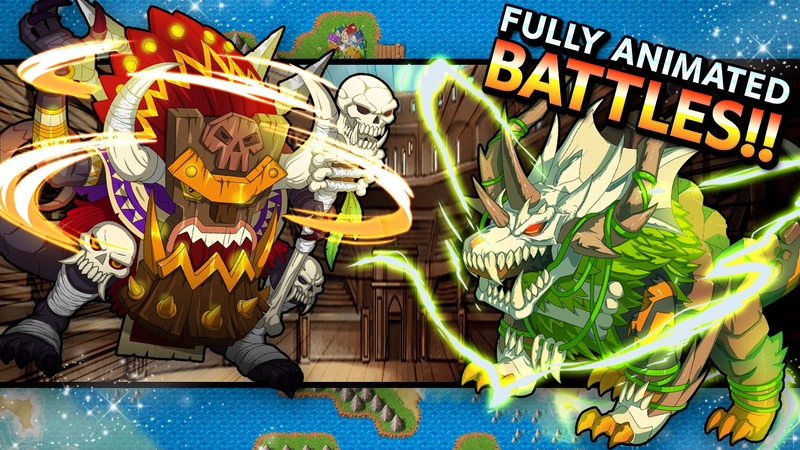 Depending on your needs, you can download Neo Monsters MOD APK or Neo Monsters Original APK. Or install from Google Play / App Store if you want.